“the perfect compilation of road trip tunes” – It really is! Hope you guys enjoy! 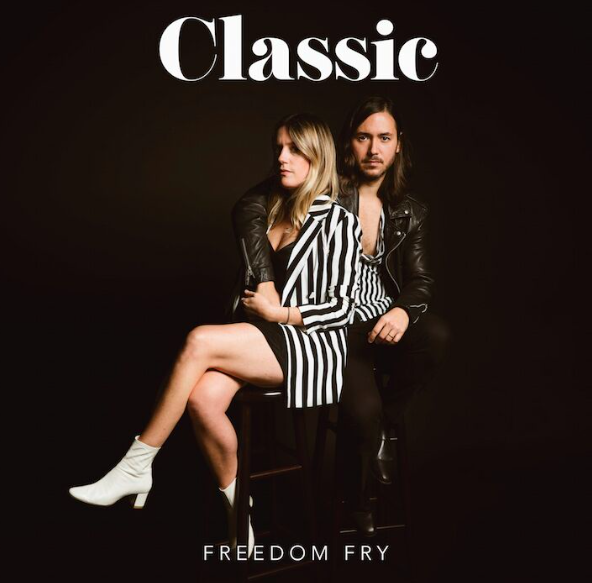 French-American couple Bruce Driscoll and Marie Seyrat, otherwise known as Freedom Fry, is an indie-pop duo founded in Los Angeles in 2011 whose authentic but versatile sound has truly changed the game. Their songs, which range from playful blends of instruments and upbeat tunes to vocals with raspy depth and soulful harmonies, tend to illustrate the world from the perspective of a starry-eyed dreamer or a heart filled with hope. While achieving all of this and portraying life from a romantic perspective, they have managed to maintain a consistent sound over the years and continue to tell creative and beloved stories to which many people can relate. In awe of this place. && these humans. So much love.